The father of one of our members, Elizabeth Suh, is the editor-in-chief of POSTECH University’s Bilingual Campus Program in Pohang, South Korea. He is now recruiting for Chief Editor and Editor positions, responsible for visioning, translation and editing of materials. Please find the job description below and attached. Please share with your networks or anyone you know who may be interested! 1. The Chief editor and Editor provide self-sufficient professional bilingual service, which includes translation of Korean documents into English. 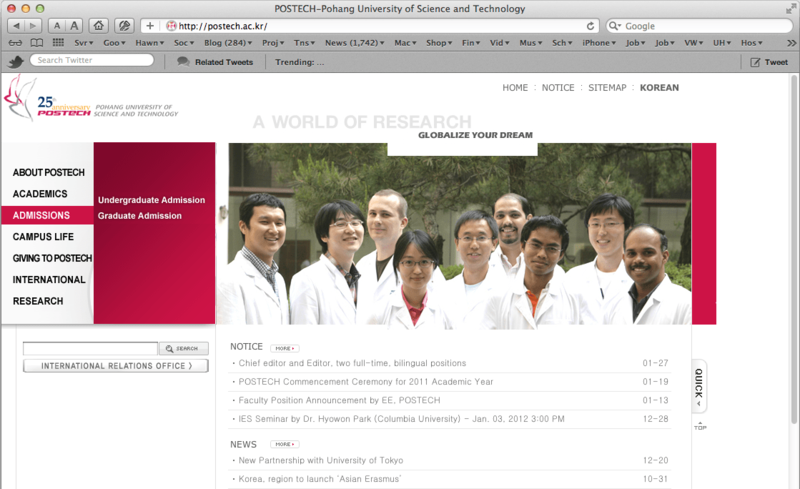 The ideal candidate is willing to relocate to Pohang, South Korea, if necessary. Telecommuting may be considered. The current positions are available on an annual contract basis.